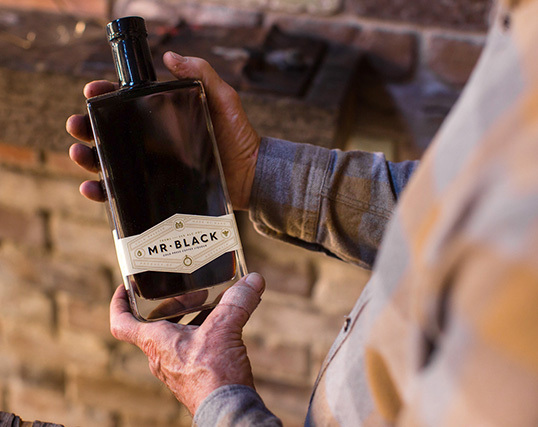 “After two years of rapid growth, The Mr Black Spirits Company has refreshed the packaging and name of their award winning cold press coffee liqueur. 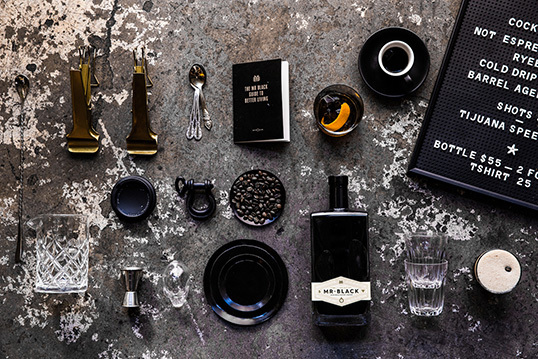 Collaborating with Manchester based graphic design company United Creatives, the team saw the opportunity to use the pack to tell more of the story about the production of Mr Black and the coffee craft that goes on inside the bottle. “Creating the new Mr Black was certainly a challenge. We introduced a new label shape derived from a sartorial sash – the sort of thing you wear with a tux. 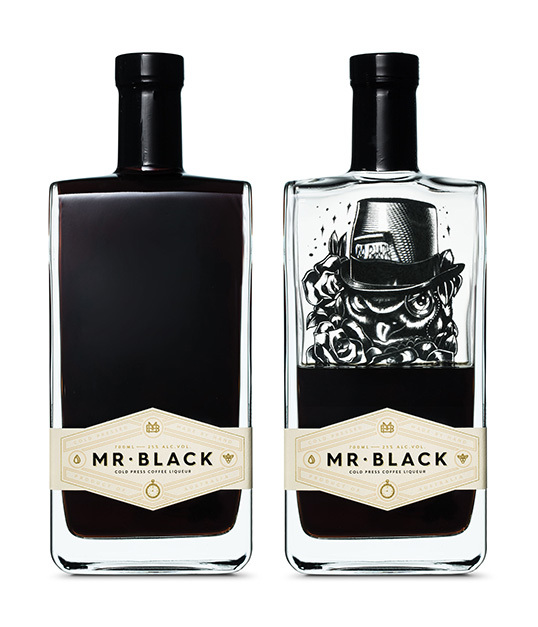 Then we built the world of Mr Black from the inside out: some masculine typography and lots of elements and infographics, included a bespoke monogram. 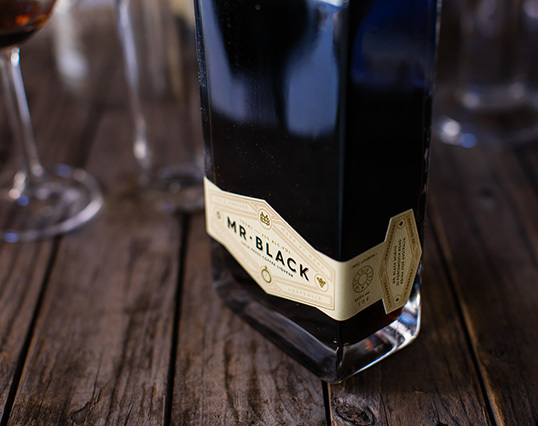 The new pack is still unmistakably Mr Black, yet more considered and striking on-shelf” says Chris Edmunds of United Creatives. “Cold dripping is not how you reliably make realistic quantities of unoxidised coffee and there’s enough BS on the front of packs in this game. We just wanted to be real about how we make our product. 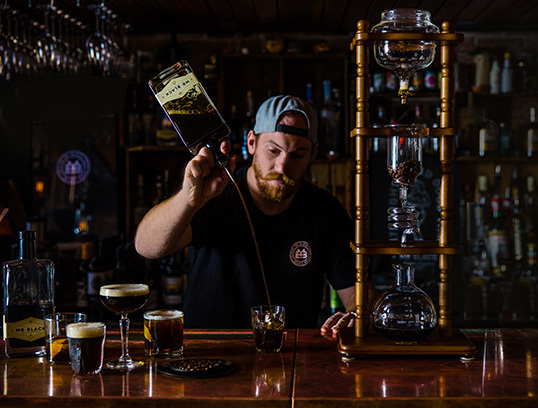 The words cold press come from the 65kg basket press – stolen from a winery – that we use to assist in the extraction of our specialty coffees,” says Baker. Please note that this product is distributed by Love Drinks.